Black Panther Symbolism . . .
"Black Panther disappears in the mist between the branches of the trees, like a whisper deep in the jungle where the trees sing the songs of the journeys of souls that have passed this way before. 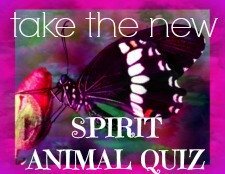 The Black Panther animal hidden in the trees takes stock of your every move, your energy, your confidence and your fears. Black Panther appears for you to challenge you to overcome the fears held within your shadow." Deep within the jungle awaits an animal who is always on the hunt. 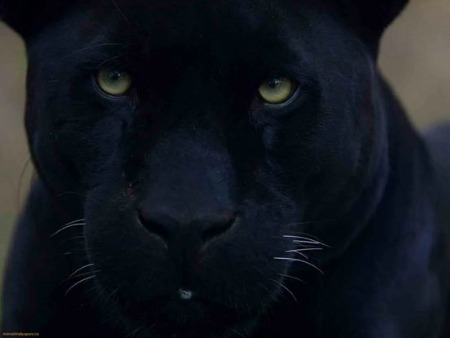 The intensity and focus of his eyes speak clearly of his intention, the phrase "if looks could kill" must have come from this elusive and magnificent creature, the Black Panther. 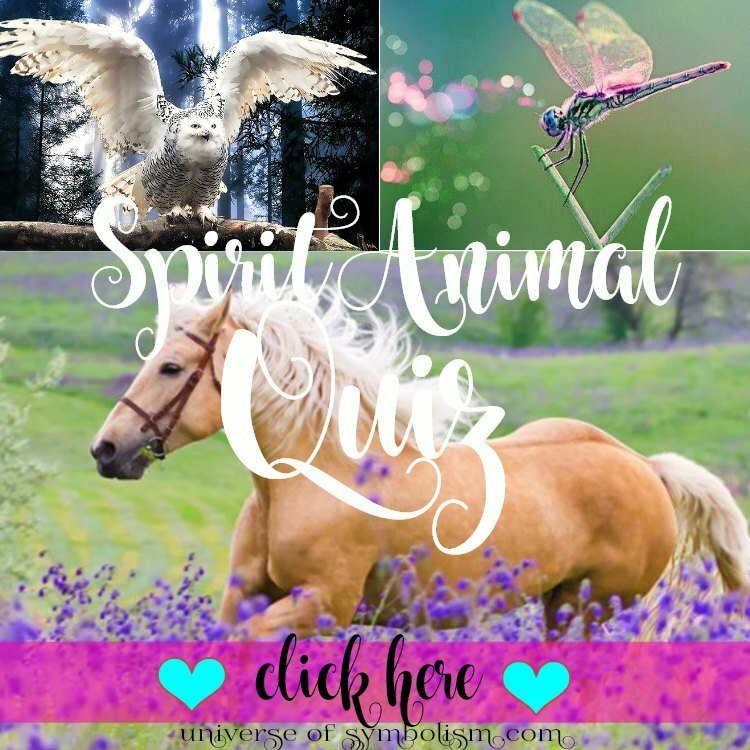 When you meet the Black Panther it is time to meet your fears, the fears that you have kept hidden... yet still they linger within, these are the very fears that have been holding you back from your leap into the undiscovered realm of your majestic power. 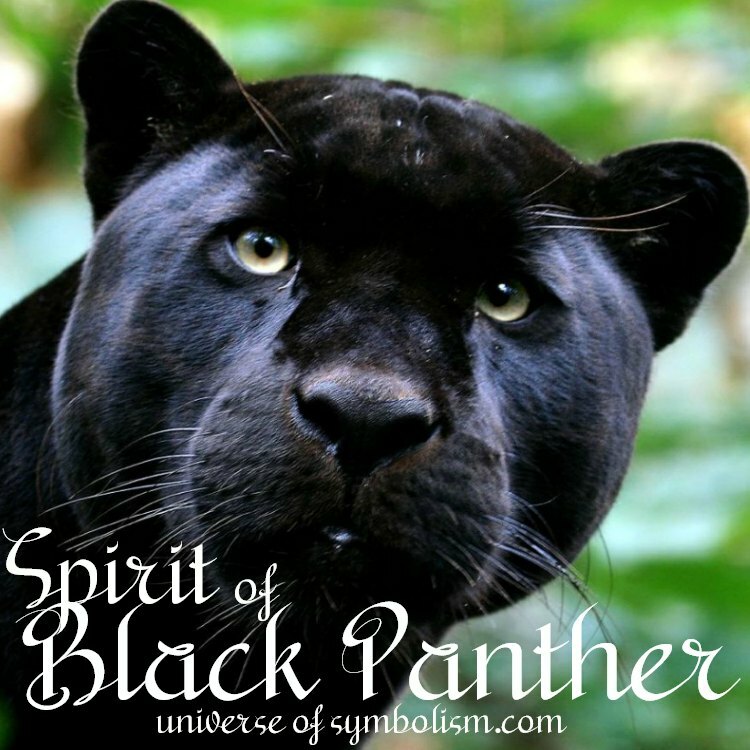 The Black Panther animal is calm cool and collected, breathing in the mist of power, centered deep in the core of soul power... breathing in a mystical type of endurance and strength that builds and grows with each moment, each breath. 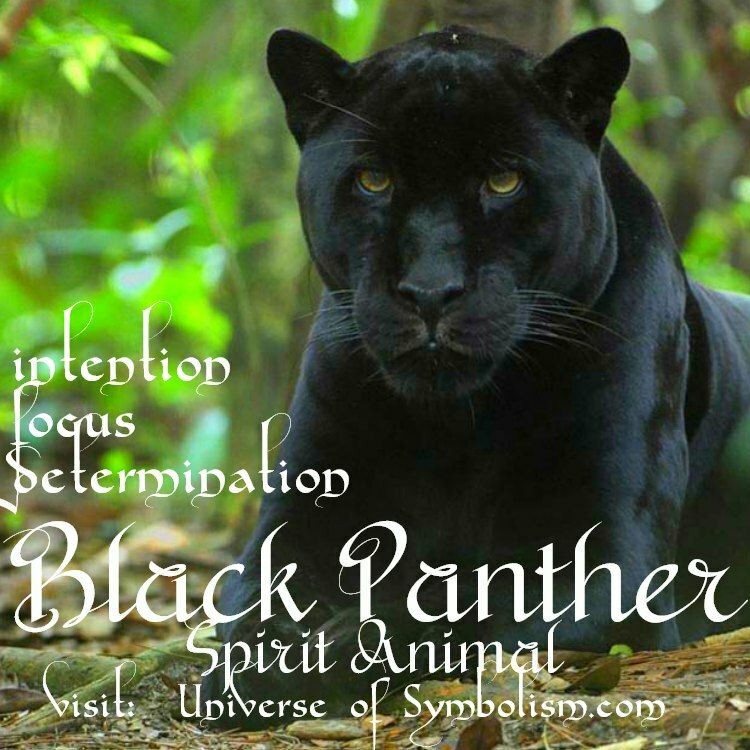 Black Panther knows and is the essence of focused power, the power you seek, the power that unleashes your truth. 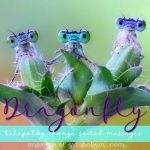 For when you are ready to face your fears you face your truth, when you face your truth, you come face to face with who you really are and what you were born to be and become. This is a longing that will not go away, it is a knowledge of what awaits within that cannot be tamed, and cannot be silenced. Black Panther comes for the initiation into your rites of passage ~ to make the leap into another aspect of your being. The only question is are you ready to take on the challenge to face your fear so that you may overcome it? It is your greatest fear that holds you back from a power within greater than you have ever imagined... it is your greatest fear that you must become the master of... the challenge has been presented. Black Panther exudes an energy of intention like no other, with a commanding presence that seems to make time stand still. The presence of the Black Panther takes your breath away. Complete and total body awareness, every move deliberate, the magnificent Black Panther is in full command. Eyes that seem to pierce and penetrate down to the very essence of who you are, evaluating and sizing you up, the Black Panther is ever on the hunt. Stealthy, patient... knowing just when to make a move, the Black Panther sits high in the trees... watching, invisible for all to see, not revealing his presence he keeps his secrets until the most opportune time, and when the time is right - in the flash of an instant he makes his move. 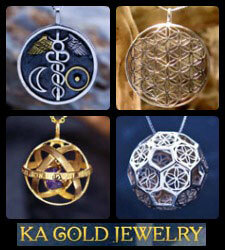 Energy is a precious commodity and the Black Panther has an innate ability for wise use of energy and resources. Black Panther is a powerful symbol of not wasting your time and energy on the pursuit of folly, use your time and energy wisely and in this way you will have the energy you need for the things are are truly most important. Things are not always as they appear, at first glance the Black Panther appears to be a purely black cat, but upon a closer look he has the spots of a Jaguar hidden within in the coat. 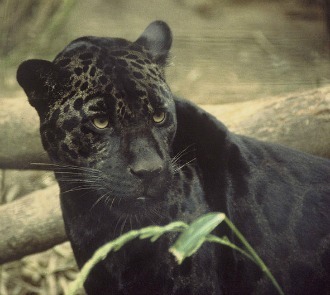 The Black Panther is in fact a Jaguar with black pigmentation of fur rather than golden colored fur sported by the Jaguar. 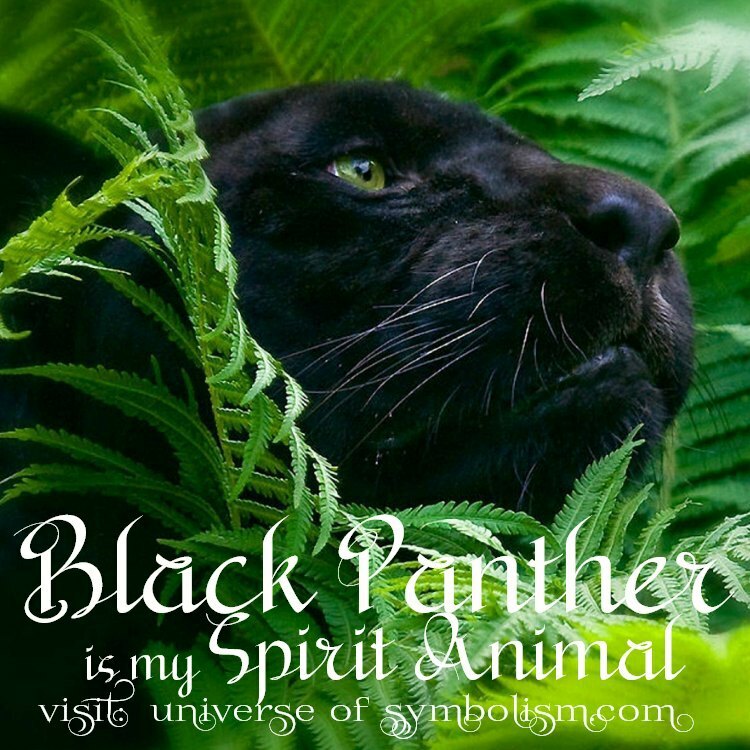 Black Panther spirit guide can bring the meaning of things being hidden in plain view, it is only by your keen observation that something more significant reveals itself, this can be circumstances as well as intentions of others. Black Panther is patience exemplified, indeed the embodiment of patience captures the essence of Black Panther Symbolism. Waiting, waiting, waiting, in every moment watchful, aware of all that surrounds him. His patience builds strength, a reservoir of stamina that sustains him through the night, knowing his patience will serve him well. Patience is an element of receiving Divine Timing in all things. The Black Panther is also symbolic of the deep mysteries of the Universe, and the deeper meaning of all that you encounter. 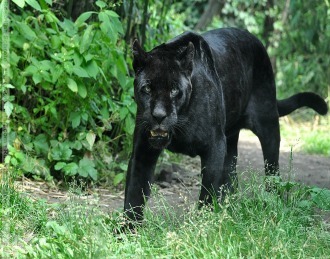 Like so many of the big cats, Black Panther leads a solitary life. Silence is golden, a symbol of harnessing your inner power and keeping certain things of great importance a secret to yourself until the time is right, as power can be diluted by speaking of things before they are ready to be revealed. Secure in himself, the Black Panther seeks not the approval of others, he is confident in all that he does, in all that he is. To dream about the Black Panther means that a fear deep within you needs to emerge and be overcome or transformed. Black Panther symbolism in dreams comes with a message; "you are ready to face the dark shadow that has been holding you back". This fear has kept you prisoner, when you stand to face this shadow, you will feel a power within that you have never felt before, this power is the force of your true spirit. This aspect of yourself is what you've been yearning for, no money can buy it and true happiness is not experienced without it. This is your soul core power, this power is earned in this lifetime, and once accessed it will continue to grow and expand. To access and awaken this power you must face the deepest fear that you have been carrying with you. It will surely take time to overcome this, the deepest of your fear, but Black Panther appears to you to walk by your side as you take this - the most important journey of your life. As you make this transition you will no longer walk in fear, you will begin walking with supreme confidence. 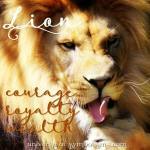 . . like the Black Panther, knowing your core power. You will feel empowered to walk the path for which you were born, and finally you will look back no longer. Black Panther symbolism in a dream is of the magnitude of reaching the age of taking a vision quest where the fears of the unknown deep within must be faced.